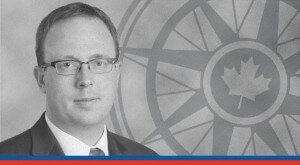 When there is a conflict between a legally valid provincial law and a legally valid federal decision, the federal decision has paramountcy over provincial law, writes Munk Senior Fellow Dwight Nemwan in the Toronto Sun. British Columbia’s announcement of plans to impose new regulations on bitumen transport through B.C. has already generated political controversy. When enacted, the regulations will bring legal controversy as well. Although the constitutional rules might seem complicated, their implications against B.C.’s moves are fairly clear. On its own, B.C. does have local jurisdiction over some environmental issues and could place regulations on the transport of bitumen within the province. But B.C.’s moves arise in the context of statements by political leaders that they do whatever they can to interfere with Kinder Morgan’s Trans Mountain pipeline, intended to carry bitumen from Alberta. Jurisdiction over interprovincial transportation and communication is exclusively federal. This federal power comes from a section of the Constitution, section 92(10)(a), and there is ample case law stating that provinces cannot take steps that interfere with federal decisions. We have seen that rule play out recently in a decision of the National Energy Board against the City of Burnaby which had been delaying granting permits under municipal bylaws for local work related to Trans Mountain’s construction. This case brought to the fore two constitutional doctrines that say that the province — or a municipality — cannot lawfully interfere with the federal decision on the pipeline. One doctrine is called paramountcy. When there is a conflict between a legally valid provincial law and a legally valid federal decision, the federal decision has paramountcy over provincial law. To whatever extent the provincial law would interfere, the Board or a court would declare that it no longer operates. The other is a complicated doctrine called interjurisdictional immunity. If a province’s laws would interfere unduly with the core of an area of federal jurisdiction or of a federally regulated entity, then the Board or a court declares them not to apply. Unsurprisingly, Trans Mountain won on both of these issues. Burnaby’s mere delaying of permits was found to be an unconstitutional action. If B.C. proceeds with regulations that interfere with Trans Mountain’s approval or viable ability to operate, there is every reason to think that those regulations would fall in exactly the same way. Of course, B.C.’s premier has had legal advice, which, in some ways, makes matters worse. If the regulations are designed in a way that interferes with the pipeline, then they are unconstitutional, and we have a province deliberately acting in a lawless manner. If they do not interfere, then they might well be constitutional, but we then have a province that is making a pretense of potentially imposing unconstitutional laws. Neither presents a pretty picture of British Columbia or of Canada. Perhaps there are guileful lawyers who think they can somehow sneak down the middle between these two scenarios, creating enough uncertainty to drive away investment without being found to have quite acted unconstitutionally, a dangerous game for two reasons. First, if such a law has negative effects on a company that was engaged in a lawful business with all the lawful approvals, we might yet see the courts developing some creative remedies. If they do, B.C. could face some creative liabilities. Secondly, every time a province rips away at the threads of the federation because it disagrees with a particular federal decision, it does harm to Canada as a whole. The federal power to authorize interprovincial transport projects has been important right from the construction of the railway that brought Canada together. Interprovincial transport might not seem like the sexiest topic, but Canadians must pay attention. These issues have the very real potential to tear Canada apart. Dwight Newman, Munk Senior Fellow, Macdonald Laurier Institute, and Professor of Law, University of Saskatchewan.